It is with great pleasure, and humble gratitude that I wish to thank the Marin Arts Council and the Wendy Gruber Foundation for honoring me this year with the Wendy Gruber Award; a grant for career development in the arts. 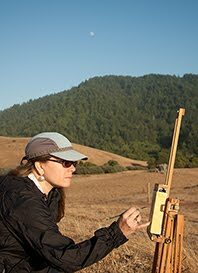 Although I did not know Wendy, she was an award winning, beautiful and young, plein air artist who lost her battle with Leukemia just last year. Wendy wrote, "I want the grasses I paint to keep blowing after the piece is finished". I am honored to be able to keep blowing the grasses with Wendy in spirit. 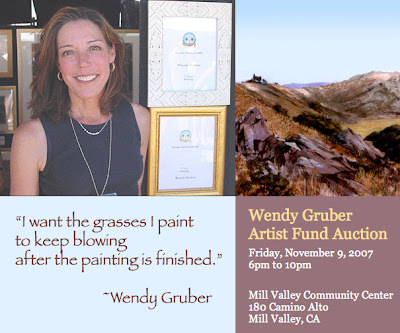 Please read more about Wendy and the auction organized by her family and friends to raise funds for the Wendy Gruber Artist Fund, which supports grants to artists, such as the one I am receiving from MAC. 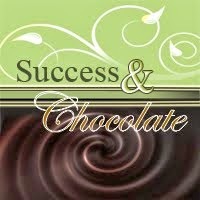 You may attend the auction or bid online in the next 6 days... online bidding closes this coming Thursday. Limited seating. Tickets sold at the door based on availability only. Wow! Mazel Tov! I am very happy to see your great talent finally honored!